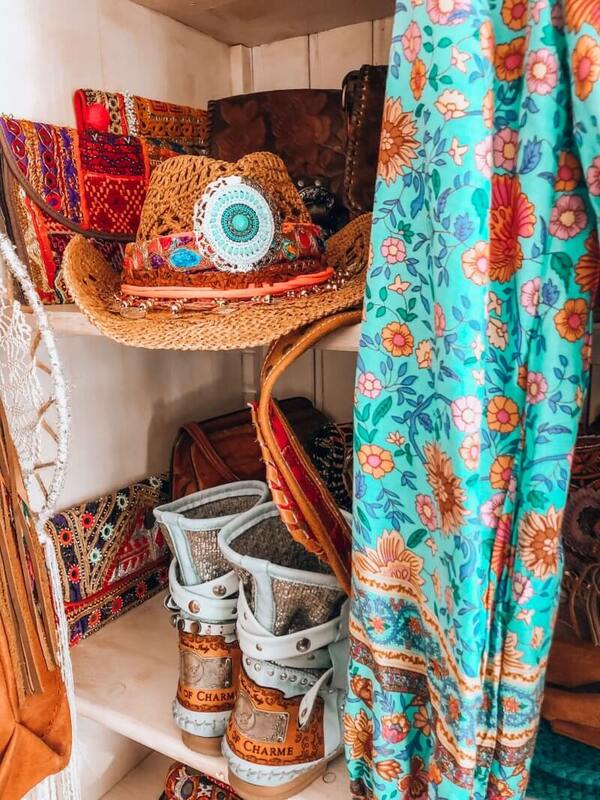 A sneak peek into my bohemian closet. Inspiration for the hippie girl! Hi sweeties! I've been getting so many questions about my boho closet I've decided to give you a little tour through my favorite room in the house. 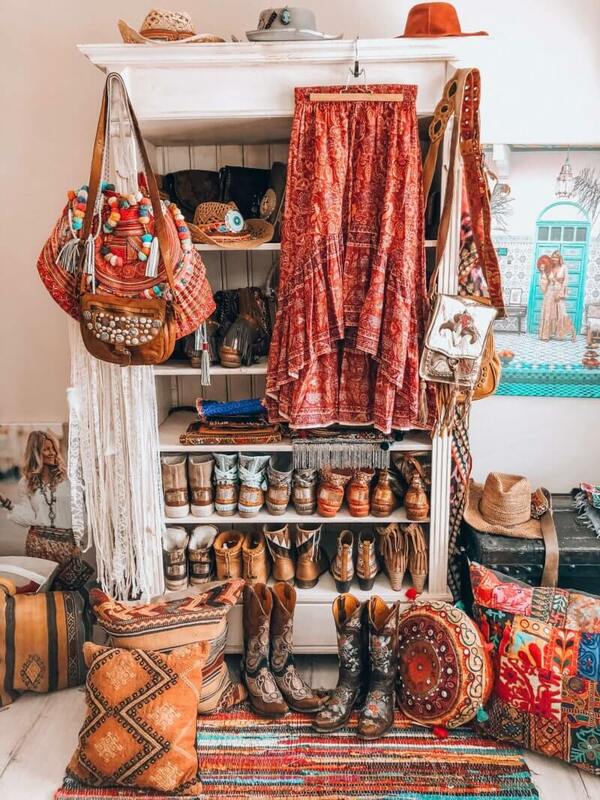 My very own bohemian closet. I spend so much time in this room it's only fair to share some pics with you. The main feature in the room is a vintage closet holding most of my boots and bags. This is also the closet on which I hang my outfits for upcoming shoots. One side of the room has high windows which is excellent for some natural light while taking pics. The other side of the room holds two side table on which all my jewelry is displayed. Between two windows a little clothing rack holds all my new stuff which I need to do use for upcoming collaborations. So my latest stuff is always here so I can keep my eye on it and start thinking about matching jewelry and bags. This clothing rack is also the favorite place of my BFF's as they are always curious about the latest styles. I really try to keep the room organized, but as you might understand it can get a bit messy. Especially if we do 2 photoshoots in a row. Then the whole room is filled with clothes on the floor and jewelry spilled out all over. But I really try my best to keep the room together. Hope you enjoyed this little tour through my favorite room! Do you also have a favorite room in your home? Drop me a note and let me know! 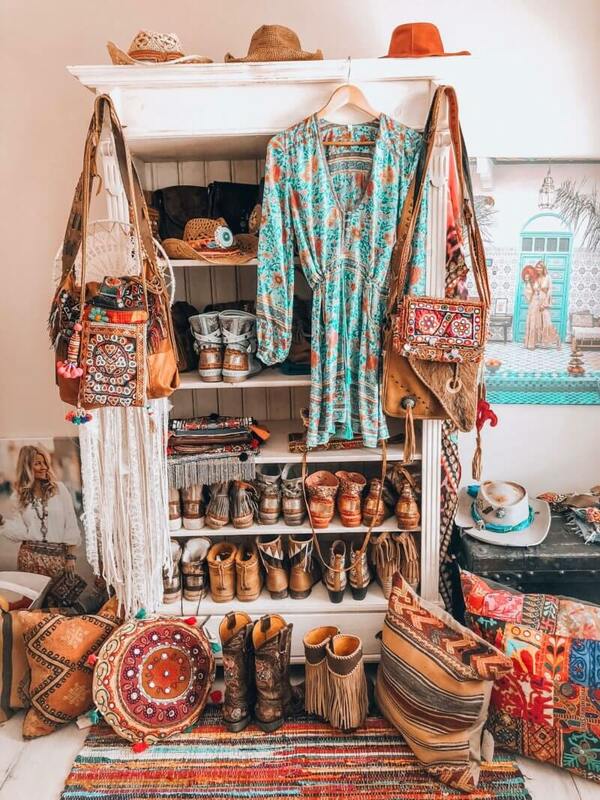 Wow your boho closet is amazing! 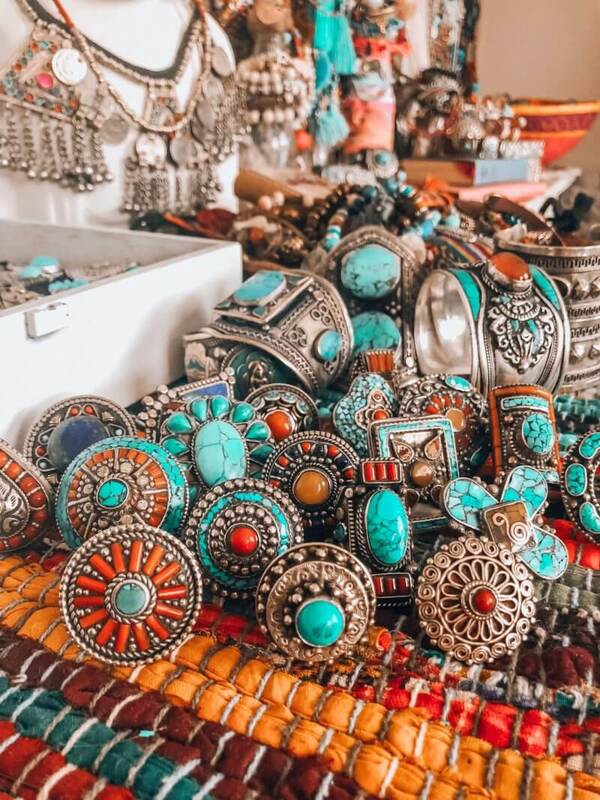 I love everything in it, and look at all your turquoise jewelry, I love it!